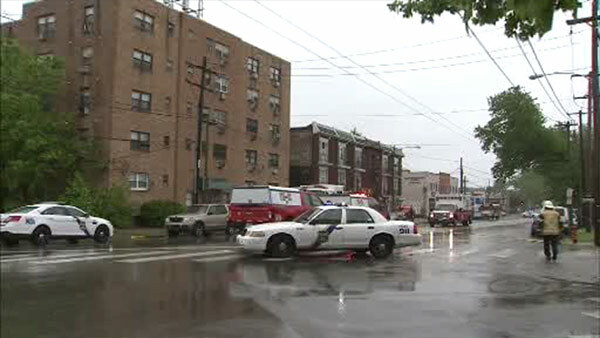 NORTHWOOD (WPVI) -- Philadelphia firefighters rescued two people from an apartment building fire in the Northwood section on Saturday. The fire was reported around 8:30 a.m. in the 5200 block of Oxford Avenue. Rescuers arrived to find smoke coming from the lower floors of building. In the end, five of the 50 units in the building were damaged, leaving seven people displaced. The two people who were rescued were taken to the hospital with minor injuries.